School’s IN session in Storyland! 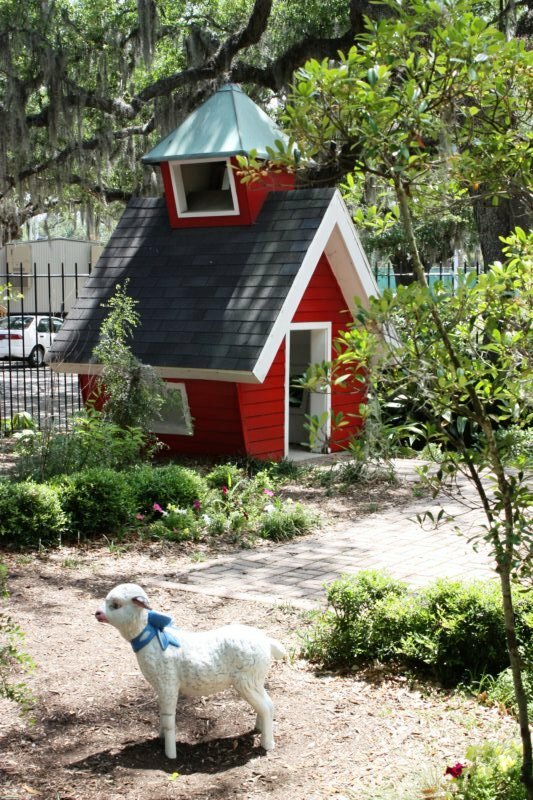 With a huge thanks to sponsor Entergy New Orleans, New Orleans City Park is thrilled to announce the Little Red School House is now back in Storyland. 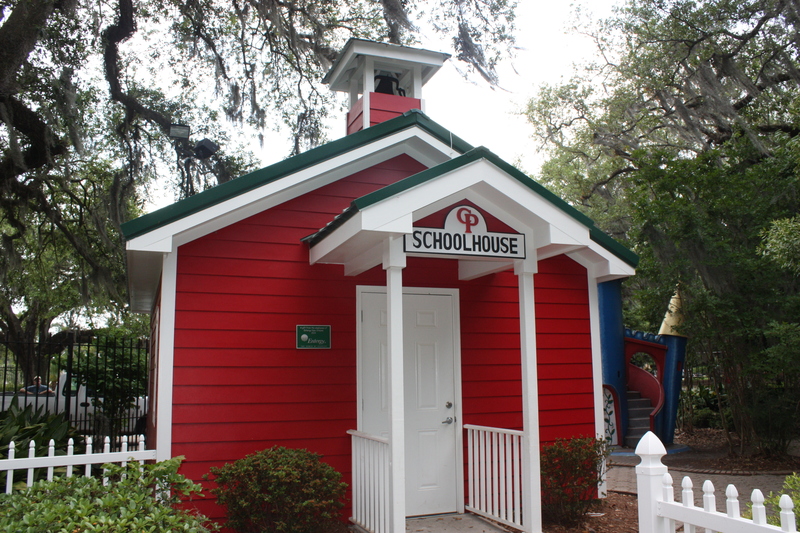 The new school house replaces a smaller version that was removed from Storyland a few years ago. Click here to check out a construction photo and to see what the earlier version of the Little Red School House looked like. Situated in Storyland between the Jack and Jill slide and the Old King Cole display, the new school house boasts more space for more kids to play school, a teacher’s desk with two smaller student desks, a chalk board for kids to scribble with chalk, and a school-bell to ring. There is also a dedicated space with a picnic table just outside of the school house’s front door. The space is also air conditioned. 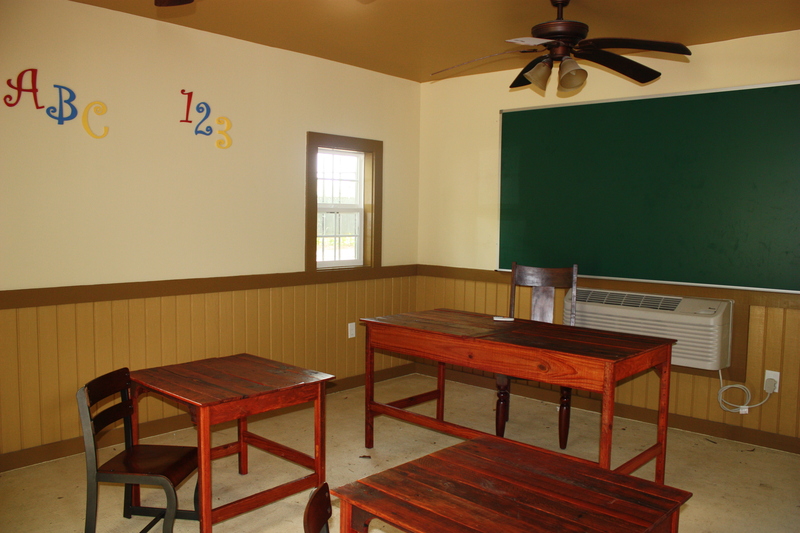 The Little Red School House is available to rent for birthday parties. To get more information on Birthday Parties at City Park, please contact Teresa at (504) 483-9458 or tcuellar@nocp.org or visit this link. Click here to find out what else we have in store for City Parkers on Memorial Day 2014. There is free parking available on Park streets and in the parking lot across the street from Storyland. 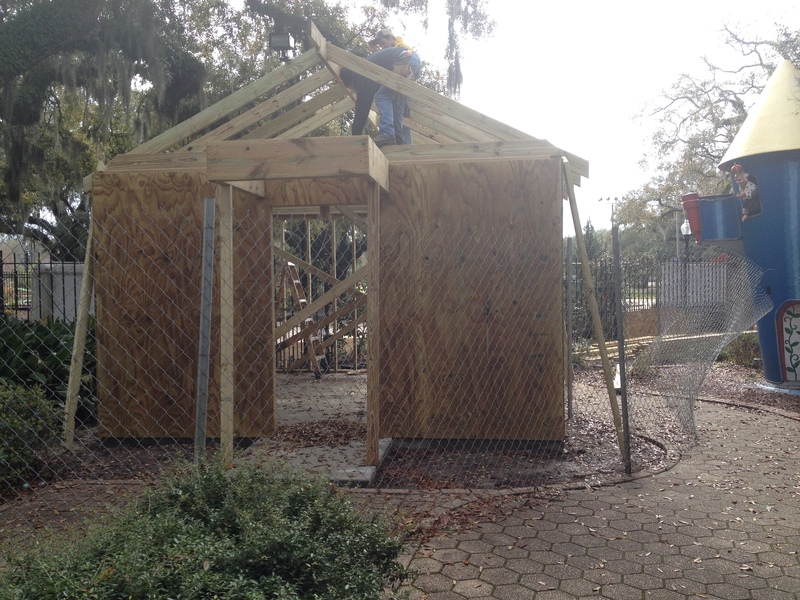 The construction on the new Little Red School House in City Park’s Storyland has begun! We’re so excited and we know you are, too! 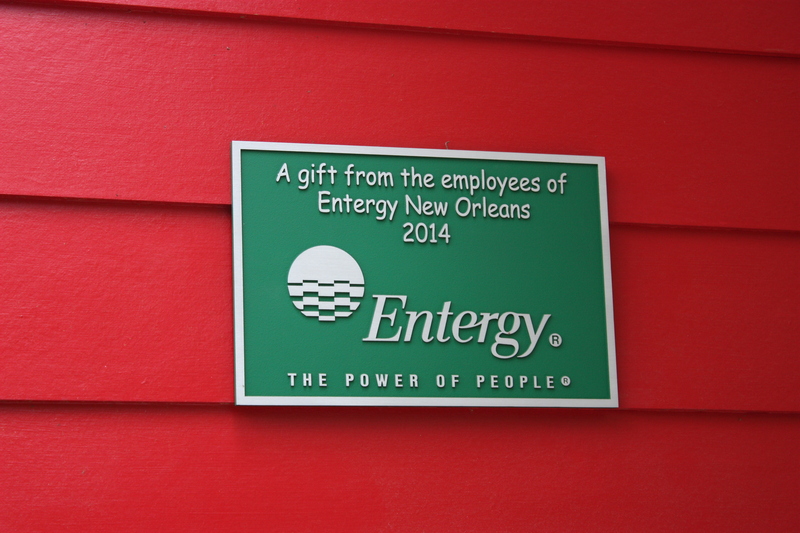 Sponsored by Entergy, this new Little Red School House replaces a smaller version seen below. 4. Keep walking past the Three Little Pigs and you’re there! The Little Red School House is on the left! You can’t miss it! Right next to Old King Cole! We’ll keep you updated on the construction progress though our Facebook page. 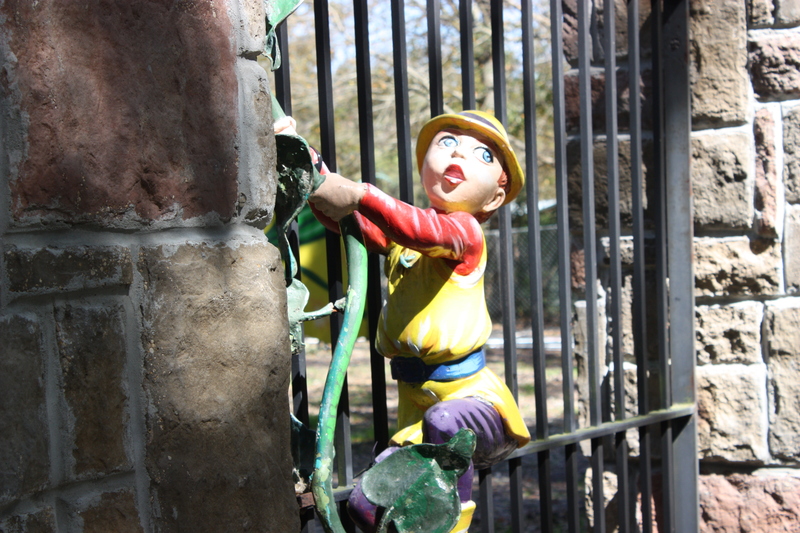 Once construction is completed, this will be yet another birthday party venue for kids of all ages! 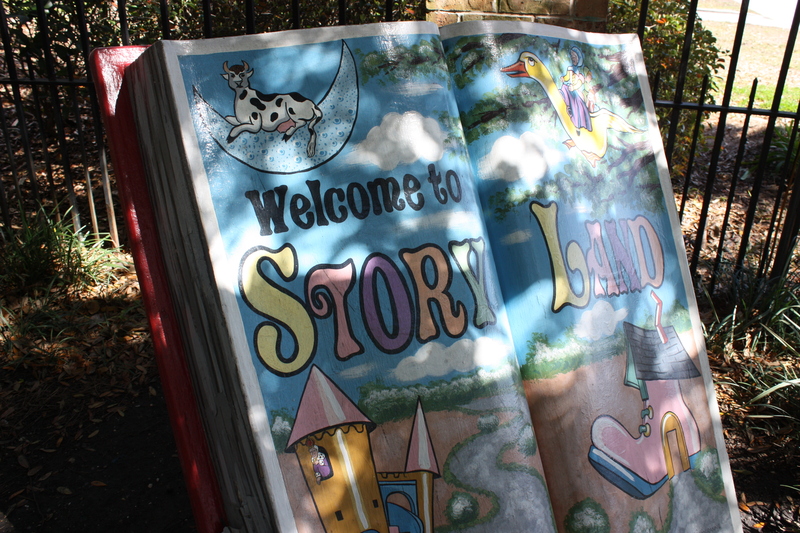 Storyland’s a GREAT place for birthday and corporate parties! Check out information on those parties here.